This reserve head depicts Senefru-Seneb, a member of King Khufu's family. Senefru-Seneb was the son of King Khufu. 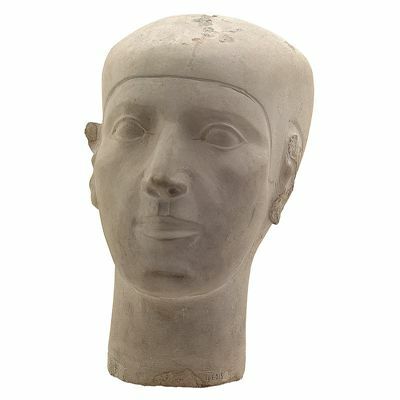 This reserve head was placed in the burial chamber close to his sarcophagus. This was possibly to guide the Ba and Ka, the soul and guardian spirit of the dead, to recognize their owner. These kinds of statue heads have simple features and lacked wigs and ears. It is suggested that these heads were used as models to reproduce other statues or a funerary mask for the deceased. Others thought that these reserve heads were used in the rituals designed to counter potential danger from the spirit of the deceased.